Researchers at the University at Buffalo say they've developed a low-cost new technology that can identify whether drugs are present. They believe the chemical-sensing chip could someday test someone or something for cocaine, marijuana or opioids just as quickly and cheaply as a breathalyzer tests for alcohol. The chip was developed by a team led by Qiaoqiang Gan, PhD, an associate professor of electrical engineering in the University at Buffalo School of Engineering and Applied Sciences. It currently detects cocaine, and costs about 10 cents in materials to create. 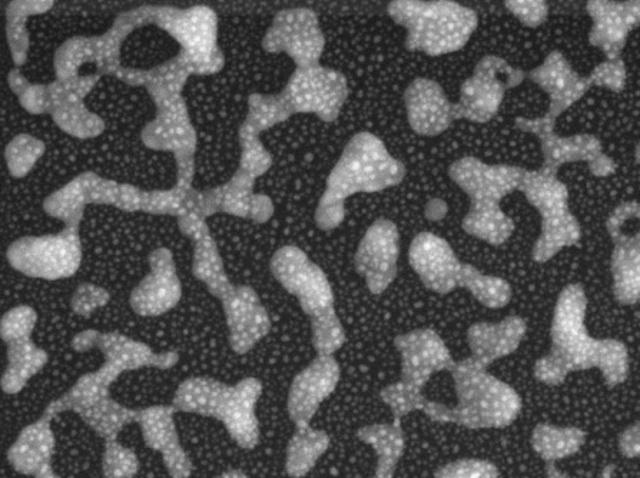 The chip traps light at the edges of gold and silver nanoparticles. When biological or chemical molecules like the ones that make up cocaine land on the chip’s surface, some of the captured light interacts with the molecules and is “scattered” into recognizable patterns that act as fingerprints, revealing information about what compounds are present. Because all chemicals — cocaine, opioids, and active ingredients in marijuana — have their unique light-scattering signatures, researchers could someday use the technology to quickly identify a wide range of chemicals. This sensing method is called surface-enhanced Raman spectroscopy (SERS), and it’s not new. But the chip that Gan’s team developed is noteworthy for its high performance and low cost. The next step in the research is to install the chip in a simple, portable testing device. This technology would first run blood, breath, urine or saliva through a purification process that extracts specific molecules, such as cocaine or other drugs. Then, any chemicals captured through this procedure would be transferred to the chip for detection and identification. Researchers this kind of device would be beneficial to police officers who could use it to monitor drug use and curb dangerous driving.